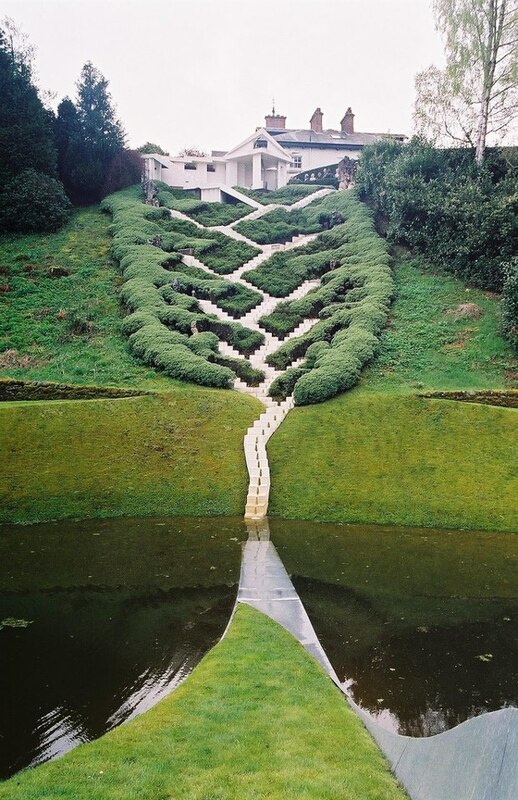 The Garden of Cosmic Speculation is a 30 acre (12 hectare) sculpture garden created by landscape architect and theorist Charles Jencks at his home, Portrack House, near Dumfries in South West Scotland. The garden is inspired by science and mathematics, with sculptures and landscaping on these themes, such as Black Holes and Fractals. The garden is not abundant with plants, but sets mathematical formulae and scientific phenomenae in a setting which elegantly combines natural features and artificial symmetry and curves. It is probably unique among gardens, drawing comparisons with a similarly abstract garden in Scotland, Little Sparta.